I wept when I finally pieced together the sad tale of the awful life of poor great-aunt Bridget, whom I'd never heard of until I began my research. This blog entry is my attempt to record all the trials and adversities that one poor and uneducated Northumbrian woman of Irish descent faced during an all too short life. I'm sure there were many other women like Bridget - too many children, too little money and no prospects of a better life. My name is Paul Chiddicks and I would like to welcome you to my Family blog and hope that you find this blog both interesting and informative. I am 53 years old and have been researching my tree, on and off, for the last fifteen years. I live in Cheshire with my wife and two grown up children and have been living in leafy Cheshire for around 20 years. Before this, I spent all my earlier years living, working and growing up in Thurrock, in Essex. Whilst researching my wider family I found, Catherine Sophia Lissa Woodley, a very distant ancestor, born Brockley, Kent on 12 Dec 1870 and a probate record indicated that she died at St George's Retreat Ditchling Sussex on 5 Dec 1925, showing she left less than £10. For some reason, I just felt I wanted to follow up her story, I am so glad I did. My brother died about a month ago, and in a box of old photos I found this, that might humour somebody. This was written about 20 years ago shortly before he made a visit to the USA. In 1949 my mother and her friend ES travelled to Belgium at the invitation of Mme Verhaeghe of 84 Rue d’Eglise, Berchem St Agathe, Brussels, in order to visit her son Marcel who was mum’s penfriend. 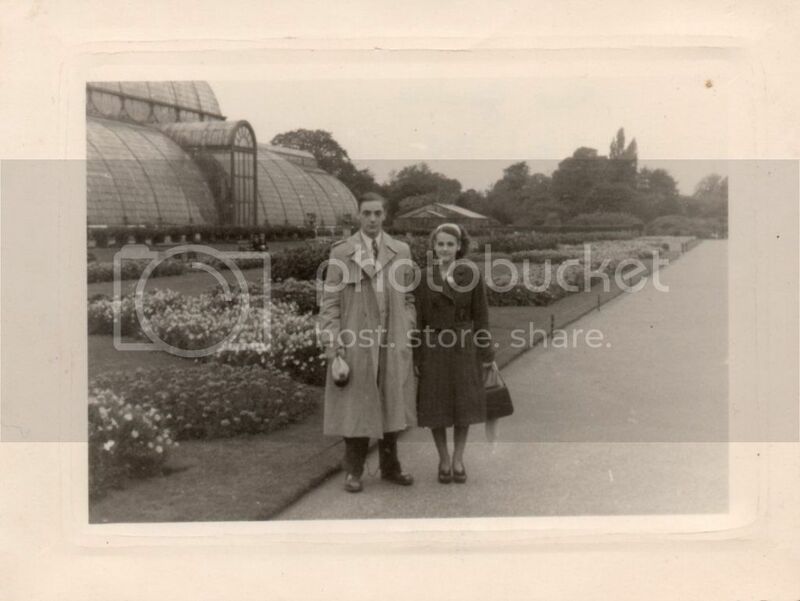 Mum and Marcel had been writing to each other for some time and had met before, I have some photos of them both taken at Kew Gardens in 1948.